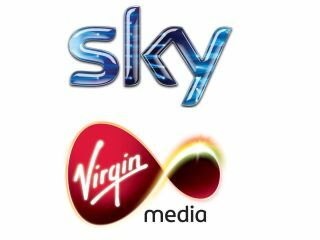 Two of the major players in UK broadcasting – Virgin Media and Sky – are both enjoying the new decade, with HD offerings proving a major draw as Britain ploughs through the credit crunch. Sky has added an impressive 428,000 HD customers, and increased its total customer base to 9.7 million – helping a 10% increase in total revenue and profits of £618 million. The company now has one in four of its customers on an HD package, and 20 per cent taking its package of TV, broadband and phone services. "We have seen a huge response to our decision to cut the upfront cost of high definition, with net additions of 428,000 - up 76% on the prior year," said Sky chief executive Jeremy Darroch. "The number of customers taking all three of TV, broadband and telephony is up 39% year on year and, as customers reward us with more of their business, ARPU has surpassed £500 for the first time." Virgin Media added customers to its cable and broadband services faster than it ever has before, benefiting from the UK's flagship 50Mbps broadband. "We are developing our services to exploit our natural network advantage, both now and in the future," said Virgin Media chief Neil Berkett. "More customers than ever before are choosing faster broadband and every day millions of our customers are enjoying the benefits of the video-on-demand revolution we are leading. "On average our customers pressed 'play' more than two million times a day, every day in the last three months." So happy times for the UK pay-satellite and cable platforms.